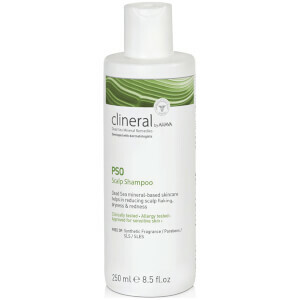 A daily lightweight conditioner that leaves hair soft, voluminous and static-free. 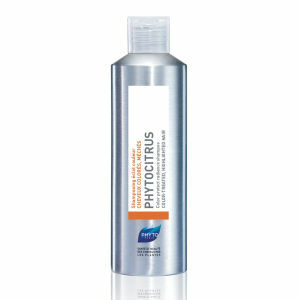 This express conditioner provides weightless moisture to create touchable body and lasting volume. Gleditsia extract adds density, radiance and life to hair while red algae extract injects optimal hydration levels into the hair shaft for long-lasting volume. 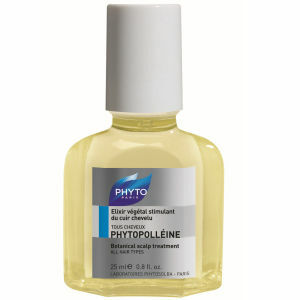 Hydrating elderflower extract restores softness and suppleness to the capillary fiber. Hair is perfectly detangled, easy to style and has visibly regained density, body, and shine. Detangles and weightlessly conditions to create touchable body and lasting volume. Leaves hair softer and shinier. After shampooing, apply a dime-sized amount to entire length of hair, avoiding roots. Rinse immediately. Sambucus Nigra Flower Extract (Extraction De Sureau), Cetearyl Alcohol, Isodecyl Neopentanoate, Behentrimonium Methosulfate, Ricinus Communis (Castor) Seed Oil, Stearyl Alcohol, Fragrance/Parfum, Propylene Glycol, Gleditsia Triacanthos Seed Extract, Hydrolyzed Rhodophycea Extract (Extrait D'algue Rouge), Ceteareth-33.Polyquaternium-57, Oryza Sativa (Rice) Bran Oil,Oryza Sativa (Rice) Germ Oil (Huile De Germe De Riz), Hydrolyzed Keratin, Panthenol (Provitamine B5), Peg-8 Ricinoleate, Paullinia Cupana Fruit Extract (Extrait De Guarana), Water, Tocopherol, Ribes Nigrum (Black Currant) Fruit Extract (Extrait De Cassis), Vaccinium Myrtillus Fruit Extract (Extrait De Myrtille), Citric Acid, Malic Acid, Hibiscus Sabdariffa Flower Extract, Phenoxyethanol, Sodium Dehydroacetate, Methylchloroisothiazolinone, Methylisothiazolinone, Potassium Sorbate. I have tried many conditioners over the years. When I finally found this one. This is a winner. I have fine hair and most other conditioners just weigh it down and it gets heavy and piecy. This one makes my hair full and thick. This is worth the investment.